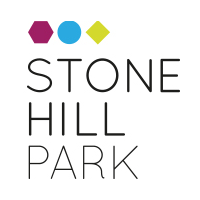 Stone Hill Park is the new name for the Manston airport site. The project to develop a “mixed use” site at Stone Hill Park is being run by Chris Cartner and Trevor Musgrave, who have experience from similar developments at the old Pfizer site in Sandwich, and Wynyard Park, up North. 1st July 2015, 3pm – 7.30pm, Pegwell Bay Hotel. 2nd July 2015, 3pm – 7.30pm, Margate Football Club. Go along and have a nose around, see what the future can offer, and speak to the people who are trying to make it happen. Previous That PwC report. At last! So what? Lets hope it all goes well. I hope too that it goes without a hitch but there are a certain foolish minority element out there that want to destroy any attempt at moving forward for the site and Thanet’s future prospects. Their misguided outlook for the multi-failed aerodrome which is being vigorously procured by the Conservative MP’s Messrs Gale, and now also Mackinlay are going against the majority of local constituents wishes and thwarting much needed development for the Thanet area. If I were the owners I would just get on with it and tell those politicians to support the majority or mind their own business. I would like to add my support to the above writers comments. What we do not need in Ramsgate are cargo planes thundering over our houses with the ever increasing prospect of night flights being requested. Roger Gale and Craig MacKinley I feel are striving for their own political publicity without really considering the needs of local people. We need the possibility of real jobs and the chance of a prestigious development on the site. I’m not too happy with the change of name because Manston is in the heart of Kentish people and deserves some kind of monument to the men and women who protected our skies during the war. A state of the art film and recording studio capable of competing in the UK and nearby Europe would provide diverse opportunities for creating further artistic facilities for our area with its diverse musical and theatrical heritage. I do think the proposed number of properties is excessive and have some concerns as to where the occupants would come from as Thanet has both past and present been used by London Boroughs to house their tenants, especially because of the cuts these boroughs have applied to housing benefits budgets. We do need jobs so those occupying them can pay their way. I look forward to seeing further proposals and will definitely attend one of the meetings due to be held soon.